Before WWI, London was the biggest world financial hub. London banks financed economic expansion in developing countries. After WWI, New York emerged as the global center for world finances. U.S. banks gave loans to governments, banks, and companies from other countries, including Germany. In many countries, Gold Standard was still in effect after WWI. Gold Standard is a monetary system where the quantity of money in circulation is in direct relation with the gold reserves of the monetary authority. The monetary authority purchases and sells gold at a fixed rate. Gold Standard implies that there is a fixed exchange rate and countries cannot devalue its currency nor conduct an expansive monetary policy. The monetary base is a fixed relationship with the gold reserves. 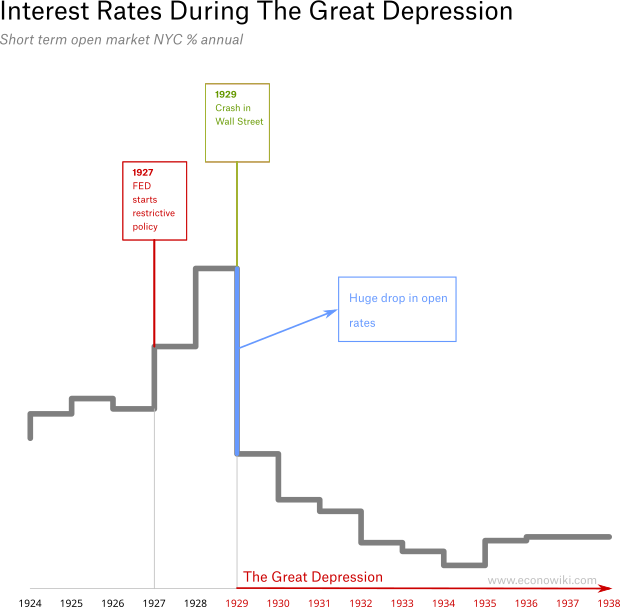 Research shows that countries that left the Gold Standard earlier, saw a greater reduction in the impact of the Great Depression. Nowadays, many central banks and monetary authorities would increase the monetary base to ease pressures on the real economy. This was not possible under the Gold Standard. Although Germany left the Gold Standard before 1929, the U.S didn't. America couldn't use one of the most important economic policy instruments. As we will see below, when there is a fixed exchange rate, fluctuations in the interest rate do have an impact in short term capital flows and foreign monetary base. When the interest rates raised in the U.S., this had a negative impact on foreign finances and real economies. Germany was the biggest defeated country in the first world war. The U.S., England, and France were victorious. In 1929, representants of this countries gathered in Versailles, France, to sign a treaty. Italy and Japan, the other defeated countries, were also there. The Treaty of Versailles imposed large economic sanctions to the defeated, mainly to Germany. Germany was devastated after the war and the sanctions worsened the economic situation. Keynes, an economic advisor to England, warned that the imposed sanctions would have negative consequences, not only for Germany but for Europe. History proved him right. 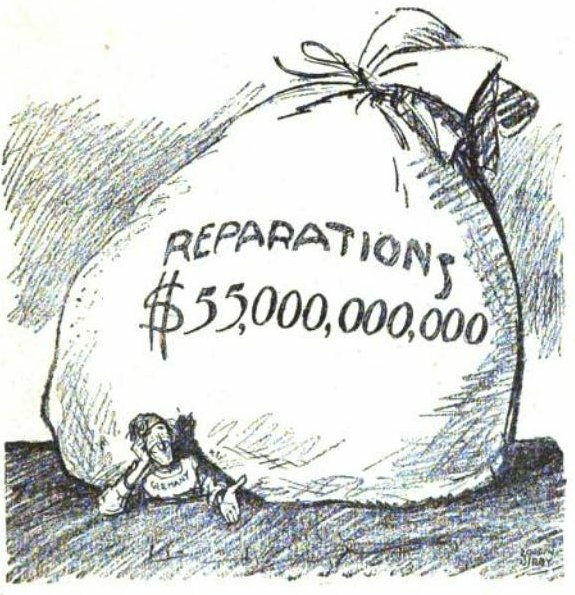 Germany had to pay US$33 Billions in reparations. Hitler blamed the winners for the misfortune of Germany. During the 1930s, nationalist movements started to gain traction in Germany and Italy. The fear of another was had a negative economic impact also in the U.S. Many German companies hold debt. They were hit when the U.S. interest rate spiked, weakening the U.S. monetary system. Since 1926, the U.S. experienced strong economic growth. Industries expanded quickly, particularly sectors like durable goods. Unemployment was low and there was no fear of unemployment. Families started to take loans to finance expenditure. Before 1929, some even took loans to finance the purchasing of stocks. Prices in Wall Street were raising. There was a lack of strong regulation, and some practices that are forbidden now were allowed. For example, it was allowed to manipulate the prices by using a group purchasing scheme, and the sell the assets at a higher price. The FED started to look at the situation with caution. In 1927, a more restrictive monetary policy was applied. This had a severe impact on foreign finances. In 1927, the German stock exchange collapsed, followed by Britain in 1928 and France in 1929. Some investors started to look at the situation with caution, but others kept enjoying prosperity. Huge financial speculation led to assets overpricing. Certain industries were also oversized. At first, people started to see stock prices with caution. Stock indices fell sharply and then recovered. People started to follow the evolution of stock prices with interest. On Thursday 24 October 1929, Black Thursday, Wall Street fell 11%. While the market recovered, there were more falls after that day and they accumulated to a huge fall of 89% of its value in 1931. The fall of Wall Street ended with the prosperity climate. Families stopped to take loans and reduced the purchase of durable goods. Factories were hit and unemployment rose. 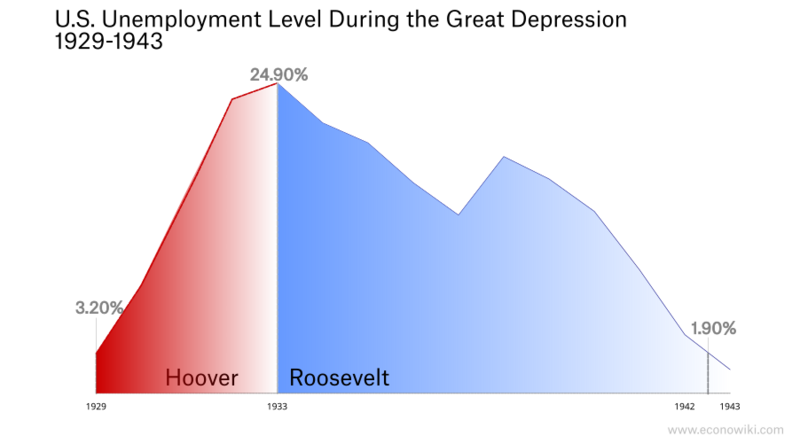 Herbert Hoover was president from 1929 to 1933. His response after the crash of 1929 was weak. He didn't have a systematic plan to support families that were falling into poverty. He just called large industrials to not fire more people and local governments to not reduce spending. But when the depression worsened, industrials fired more people and some federal governments defaulted. Many economists thought that the “natural tendency” of the economy was to let inefficient banks and companies fall. The reasoning was that after the crisis, the economy was going to be stronger. They were wrong, and the price was high. When banks started to fall, the FED let them fall. People started to take out their money from banks and all the system got weaker. The banking system consisted of a network of smaller and semi-independent banks. When a bank had liquidity issues, it was harder than today to obtain liquidity. To protect the U.S. economy, import tariffs on 20,000 products were raised. Other countries take retaliatory measures and raise tariffs. Quickly, a wage of protectionism expanded all over the world. Resource distribution efficiency worsened and international trade collapsed. Countries that had achieved scale efficiencies in some industries, had to transfer resources to less efficient sectors. 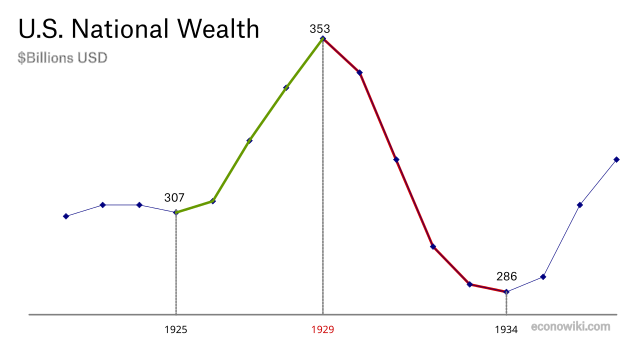 This reduced global economic efficiency and worsened the Great Depression. Final Thoughts: The Great Depression had many causes and policies in the United States were some of them. Measures taken before and during the Great Depression exacerbated and prolonged its effects. Millions of people fell into poverty and unemployment.